Oops. Your browser does not support this audio element. :: After 65 Years - We Are Still Going Strong! Patients in the Sunderland Royal can listen to Radio Sunderland for free on Radio Channel 1 of their bedside console. Everyone else can listen online! We decided to make our service available online after increasingly being asked by friends and family of patients if they could also listen to our programmes - especially the popular patient request show "Ward Call". 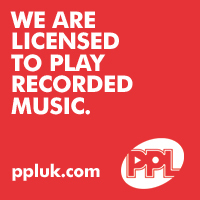 We launched our online stream on 30th March 2012 and it can be listened to by launching our pop-out player using the "Listen" button above or by using the "player". Alternatively you can try one of the various media player links. They are in the form of a playlist that can be used with your favorite media player and saved to your phone, tablet, PC or any other device. You could then set up a shortcut so that you can instantly reconnect to Radio Sunderland at anytime. If you use the TuneIn app don't forget to mark us as a favourite!